It’s finally been confirmed and the Old Man Logan storyline for the next Wolverine movie is a GO!!! ‘Deadpool‘ has opened the doors for the powers that be to realize that an R-rated comic book movie is not a death sentence and Fox has green-lit an R-rated Wolverine 3!!! Last summer, Hugh Jackman gave us our first tease that Old Man Logan could be the topic for the next movie. After that, we wrote up a pretty in-depth article that tells all about the eight episode comic, you can read it here. One thing we can be sure of in the next movie is that it will be a bloody, abso-freakin-lutely gloriously violent, action-packed event and I can’t wait! As of right now, the only players we’re for sure of are Jackman and Patrick Stewart as Xavier. In the future, we can expect, not only a title change, but it’s likely, we’ll see a few more familiar faces filling out the cast. We can hope, at least. Michael Green (‘Blade Runner‘ sequel) is writing the script and James Mangold (‘The Wolverine‘) will be directing the pic that is to be Jackman’s final portrayal as Wolverine. Everything is set to be put into high gear March 3rd, 2017 when filming is to begin. Mister Sinister Will Be Villain in ‘Old Man Logan’ Movie!!! 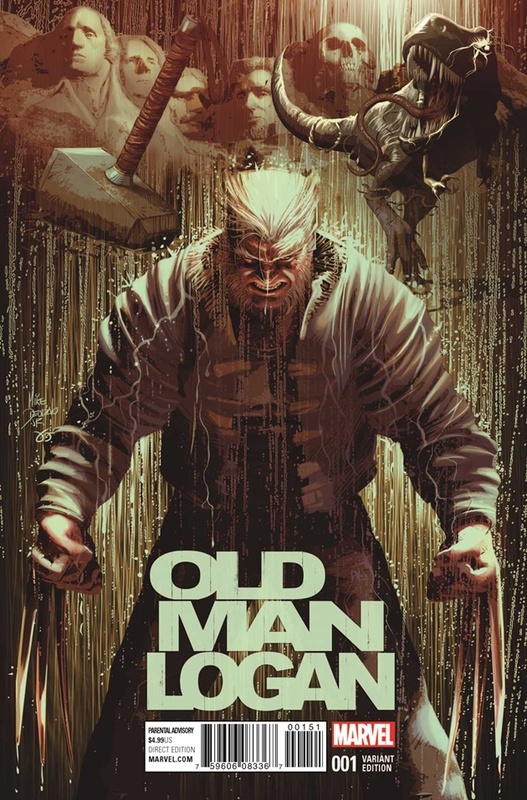 Here’s a Cheat Sheet For ‘Old Man Logan’ – SPOILERS!!!!! This entry was posted on Monday, February 22nd, 2016 at 5:28 pm	and is filed under Comics, Film, News. You can follow any responses to this entry through the RSS 2.0 feed. You can skip to the end and leave a response. Pinging is currently not allowed. « The Trailer For John Travolta’s ‘I Am Wrath’ Is Here!! !